Combine a fruity black currant flavor with strong nicotine kicks and you’ll get the newest addition to Jakobsson’s Special-series, Jakobsson's Special Vinbär. 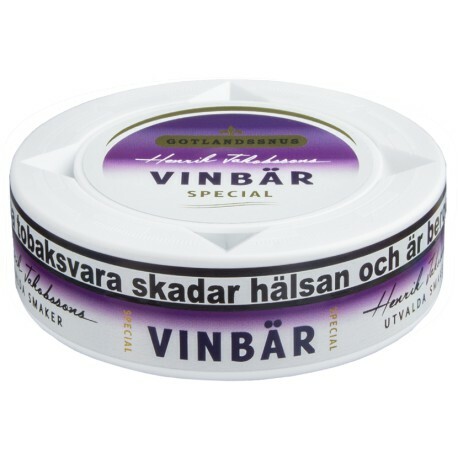 A premium snus from the Swedish manufacturer Gotlandssnus. 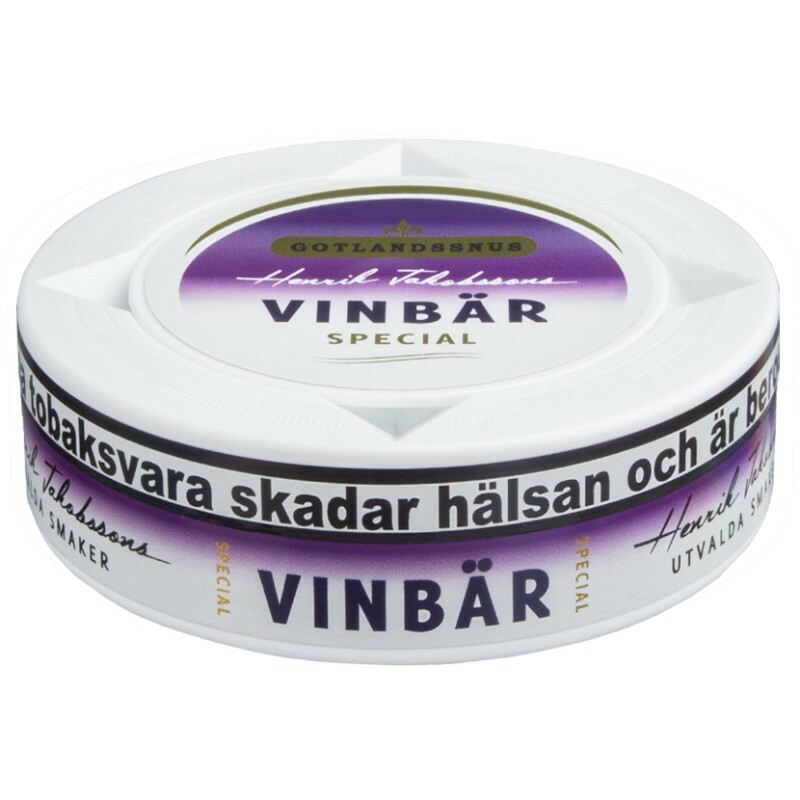 Jakobsson's Special Vinbär from the Swedish manufacturer Gotlandssnus is a high quality snus packed with delightful flavors and high quality tobacco. These humidified and strong (14 mg nicotine/portion) original portions fits comfortably under your lip and delivers a quick yet long lasting flavor burst of black currant. This latest addition to Jakobsson’s Special-series got you covered when your in the mood for something truly flavorsome and stimulating.